Austin Independent School District (AISD) believes academic achievement is just one piece of what its schools must do: Nurture the whole child. The district’s Social and Emotional Learning Initiative, for example, provides a foundation for safe and positive learning and enhances students’ ability to succeed in school, careers, and life. AISD’s Creative Learning Initiative provides a quality arts-rich education for all students and professional development and support for educators. But these kinds of vital supplemental programs—not to mention mission-critical class supplies and project materials—require additional resources. AISD’s $1.3 billion budget leaves holes for the 36th-largest district in the nation. The district’s response to fill these holes was a novel one. In 2011, it created an Office of Innovation and Development (OID) to serve as the district’s fundraising arm and manage campus-level development. including the W.K. Kellogg Foundation, Andy Roddick Foundation, and Boys & Girls Club that provide direct services and financial resources to schools and students. OID initially used spreadsheets to track and manage donor records and grant opportunities. But growth led it to implement Sales Cloud in 2012. The district explored a variety of tools for donor relationship management and selected Salesforce because of its reputation in the fundraising community—especially among nonprofits, higher ed, and private and charter schools. 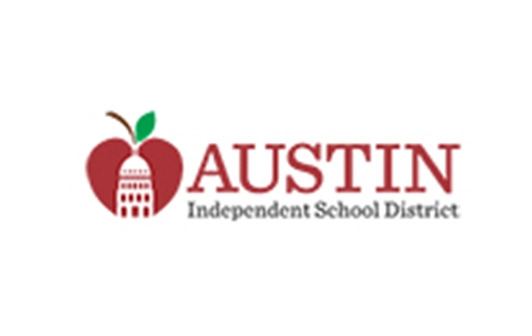 Salesforce now fuels and organizes all of AISD’s fundraising activities, starting with grant management—from prospecting all the way through whether it won or lost a grant, including tracking proposals, award letters, and reporting requirements to ensure compliance. It also powers a searchable online grants database that serves as a resource for the Central Texas community. FormAssembly, a plug-and-play Salesforce AppExchange app, is used for online grant application forms, enabling the district to better manage fundraising across 130 campuses. OID deployed EdBacker, an online crowdfunding platform, to allow parents, teachers, staff members, or anyone else to run a fundraising campaign on behalf of the district. Independently run campaigns were already commonplace, but this created a new district-wide process that improves accountability and keeps OID involved. The 10-person OID team also set up accounts for all teachers to make it easier for them to create their own campaigns. Individual gift and campaign information from EdBacker was custom-built to directly integrate with and populate into Salesforce. Custom workflows and triggers create efficiencies by automatically acknowledging a donor once an online gift has been received. As a bonus, having one centralized system for crowdfunding enables OID to help raise more money by targeting large donors with campaigns they might be interested in, and working with the communications team to alert media outlets about them. The integrated fundraising system built on Salesforce has been a success: Each year the district has raised more money than the previous year. In the 2016-17 school year, AISD raised $9 million from grants and 1,500-plus donors. The district might have been able to raise $9 million without Sales Cloud. But, according to Smith, it would have been much more difficult because of how significantly it simplifies workflows. If a teacher wants to set up a crowdfunding campaign for, say, a technology purchase, they fill out a single online form. The information is automatically transferred into Salesforce. The school principal is notified and approves with a quick tap of a button. The teacher then gets an auto-generated email letting him or her know the campaign has been approved. The email is pre-built in a Salesforce template complete with the AISD logo. Salesforce’s Pardot is a solution used by other schools and districts to tailor outreach and boost engagement of parents or donors. The head of OID can log into Salesforce and click on a year-to-date dashboard to quickly see how much they’ve raised—and how much has come from individuals, government, corporations, or foundations. The main advantage Salesforce gives AISD in fundraising and grants management? Its ease of functionality, including dashboards, right out of the box. Small school districts or charter management organizations might not even need to do much customization.